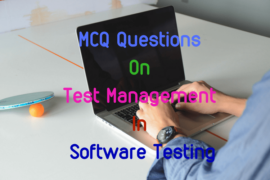 This set of multiple choice question includes collection of top 20 MCQ questions on CSS3 properties and their syntax used for different browsers. 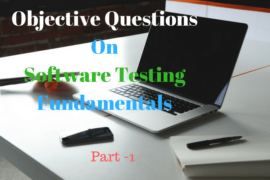 It includes questions and answers about marquee-direction property, marquee-play-count property, marquee-speed property and their allowed values along with their default value along with including about specific mask properties, overflow and text-overflow property and perspective property used in CSS. 1. ………………… property can be replicated by using the HTML <marquee> tag and setting the direction attribute. 3. The default value of marquee-play-count property is ……………….. which means the element performs its effect once. 4. ………………….. property can be replicated using the HTML marquee tag and setting the loop attribute to a number or infinite. 5. marquee-play-count property is supported as ………………… in opera browsers. 6. marquee-play-count property is supported as ……………….. in webkit-based browsers like safari. 8. The default value of marquee-speed property used in CSS3 is ……………. 9. The marquee-speed property is supported as ………………….. in opera browsers. 10. ………………… property defines the motion of the marquee. 11. The default value of marquee-style property is ……………………..
12. Which of the following is/are the specific mask properties used in CSS. 13. …………………… property specifies whether the mask should scroll or stay fixed the page is scrolled. 14. Which of the following is/are the possible values used in mask-clip property. 15. The default value of mask-repeat property is …………..
16. ………………….. property defines how content should behave when it exceeds the width of its enclosing element. 17. …………………… property is used to give 3-D sense of depth to an element. 18. …………………. property defines whether or not an ellipsis should be displayed when content overflows a region. 19. ………………….. is a shorthand property to define the width and color for the outline of a text block. 20. ……………….. property defines the text selection policy for various portions of a document.